SOZO PRAYER | Connecting with You! Question: Please help me understand this encroaching ‘Sozo Prayer’ teaching. Is it a deception? Dr Jim McClure, noted theologian, responds: This matter requires some writing at length, actually as an expanded article, but I’ll make it as clear as I can! There is a disturbing trend in contemporary Christianity, one in which the long-established fundamentals of the faith are being set aside or modified or replaced by dangerous novelties. Consequently, while there has been a diminishing in the teaching and preaching of sound biblical truths, there has been a corresponding rise in fanciful and speculative ideas that tickle the imagination and appeal to the mysterious. The danger in many of the ideas being propagated today is that they are cloaked in Christian terminology and lurk in seeming Christian orthodoxy. And herein lies their danger. Because they give the appearance of having a biblical basis, many sincere Christians succumb to their deceit. This is not a new thing. From time to time movements have arisen within Christianity that have gained popular appeal but, despite their attraction, they have deviated from biblical truth. Consider this parallel. Some counterfeit money is hard to detect because it bears a striking resemblance to the authentic currency – but it is worthless! Likewise counterfeit Christianity has the appearance of authenticity but apart from being worthless it is also positively harmful because it exploits the sincere and needy seeker. It also makes those who in the past have been stung by the counterfeit to be wary of and to doubt the integrity of the real. The simple yet wise words of advice given by Paul in 1 Thessalonians 5:21 still holds true for today, ‘Test everything. Hold on to the good.’ A willingness to believe anything of a spiritual nature, especially if it titillates the imagination, does not indicate a strong faith. 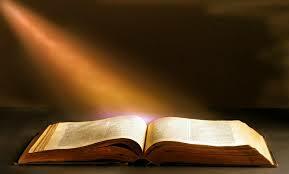 It is very necessary to test the integrity and biblical trustworthiness of everything we hear or read. There is nothing commendable in gullibility! Again, Paul warns, ‘For the time will come when men will not put up with sound doctrine. Instead, to suit their own desires, they will gather around them a great number of teachers to say what their itching ears want to hear’ (2 Timothy 4:3). I have written the above to provide a warning and to give some biblical advice regarding various ‘ministries’ that come to prominence from time to time and that offer counselling-type services that go beyond foundational theology and explicit Bible-based practices and principles. Sozo ministry, for example, offers what it describes as a ‘four doors’ program that may be applied to the personality disorders of hatred, fear, the influence of the occult and sexual sin. As it is assumed that the root of these ‘disorders’ likely lies in suppressed childhood memories of disturbing experiences, it is maintained that inner healing can be obtained by recalling and dealing with those memories. The ministry is named ‘Sozo’ which is a New Testament Greek word (sozo), that refers to the work of salvation and wholeness that Jesus has made available to us by his death and glorious resurrection. However the mere use of an original biblical word does not lend credibility, integrity or validity to any organisation. Clearly this is a ‘technique’ based practice! Item 2 is interesting; using the ‘Shabar’ techniques individuals, who do not realise that their lives are a total mess, are told how crushed and traumatised they really are! How dangerous! In passing it is interesting to note that shabar is also a Hindi word that means ‘nectar.’ A shabar mantra is an Indian occultic practice which is a type of repetitive appeal to various gods to put pressure on them to do what you ask. While I am not arguing that what Sozo advocates is similar to a shabar mantra, nevertheless the calling of a ministry by the name Shabar opens the possibility of misunderstanding and confusion. Some of the terms used here need to be examined further. First, the ministry is described as ‘unique.’ Unique means ‘without equal’, ‘incomparable’, ‘radically distinctive’ and ‘exclusive.’ The use of this word should immediately put us on the alert. How can it claim to be unique if it is truly biblical and based on Christian teaching? Before the introduction of Sozo ministry, how did Christians cope for 2000 years? Indeed, how did Jesus minister without the insights and methods used by Sozo? Thirdly, Sozo’s claim to ‘get to the root of’ a person’s emotional and psychological problems through particular techniques and methods do not have a clear and unambiguous biblical undergirding. If Sozo principles and practices were truly established on a firm biblical foundation, it would have been evident in the church long before the 1990s! Yet Sozo maintains that it offers a Christian-based approach to discerning and dealing with long-standing issues that ‘prevent or limit us from achieving our full potential.’ Apart from the fact that the claim is more than a little arrogant, one must seriously question its integrity. Fourthly, Sozo states that its goal is to lead to ‘a healed connection with Father, Son and Holy Spirit.’ Biblically the guarantee of that connection is not in any doubt for the Christian, as Romans 8:38-39 makes clear. It is the degree of intimacy of one’s relationship with God that may be vulnerable because of sin, emotional stress or other psychological problems. The theory behind Sozo is that, when the memory of traumatic experiences (especially in childhood) have been repressed and forgotten, they are nevertheless retained in the mind and therefore subconsciously influence our thoughts, emotions and actions. As a consequence, it is asserted, they are manifested in problems associated with personality, physical health and spirit. The answer, it is claimed, lies in unsuppressing, or revealing, hidden memories that they may then be dealt with. What is the source of the theories and methodologies behind the concept of ‘inner healing’? The following is a brief historical development of the concept of suppressed memory and its effects. Sigmund Freud (1856 –1939), an Austrian doctor who believed that God was an illusion, is acknowledged as the father of psychoanalysis. Freud maintained that repressed memories of distressing experiences lie at the heart of emotional trauma. Consequently he asserted that through the guidance of a skilled counsellor hidden childhood memories can be brought into the conscious mind and addressed and this will result in the emotional release of the patient. A friend and colleague of Freud, Carl Jung, had a fascination with the occult, spiritism and Eastern religions. He differed from Freud in arguing, among other things, that our goal in life is to fulfil our inherent potential. (Note how similar this is to Sozo’s comment about walking ‘in the destiny to which you have been called’). Jung understood this in terms of a journey of transformation in which one meets oneself and also the Divine (which to Jung included the occult and Eastern mysticism.) Thus Jung’s ideas modified Freudian psychoanalytic theories with occult concepts. In the 1940s Agnes Sanford began a healing ministry in which she mixed Jungian theories with Christian concepts and terminology. Many within the church embraced her teaching. Her son, John A. Sanford was a Jungian psychoanalyst and Episcopal minister. Particularly during the 1990s, on the back of Sanford’s teaching, among some Christians there developed a fascination with the concept of ‘inner healing’ closely allied with the idea of the ‘healing of the memories’ discerned through ‘words of knowledge.’ Correspondingly there has been a rise in various ‘ministries’ claiming to have the answer to the problems associated with emotional and psychological trauma. It is to be noted that not only are there few psychiatrists or psychologists who will defend the theory and practice of repressed memory therapy, but also there is no confirmation that repressed memory of childhood trauma can be definitely related to psychiatric or physical illness in adulthood. Further, evidence of complete memory loss caused by exceptionally distressing experiences is extremely difficult to validate. Despite the lack of evidence, Sozo Ministry (and similar ministries) speak and write about it as an established fact. Apart from many reports from international health professionals, in 2005 an investigation by the Australian government into memory recovery therapies not only found that there was little evidence to support the concept of repressed memories but also warned about the dangers of creating false memories (‘Inquiry into the practice of recovered memory therapy.’ Office of the Health Services Commissioner. pp. 78–82). Biblical basis for Sozo ministry? This ministry rightly claims, ‘Prayer and deliverance ministry have been around since Jesus demonstrated his power on earth as he healed (sozoed) many that came to him.’ However, there is no biblical indication that Jesus ever used or endorsed the theories or techniques employed by Sozo practitioners! However there is no explanation given as to how those verses relate to or authenticate the methodology that Sozo practitioners use. Sozo ministry is very light on biblical evidence and biblical endorsement but very heavy on speculative theory and bad biblical exegesis. No biblical reference can be found to support the concept of suppressed memory! This is important to note, especially as it is a significant component of the theory and practice of Sozo’s ministry. Despite Sozo’s promotional blurbs, few of their methods are biblically grounded. Some of the techniques employed are rooted more in secular psychoanalysis, mysticism, the occult or conjecture. ‘Words of knowledge’ or ‘words of imagination and speculation’? Before commenting further I must clarify this point – I believe that the spiritual gift, the charisma, of the ‘word of knowledge’ (1 Corinthians 12:8) is available to Christians today to be used wisely in God’s service. However, I also believe that it is a gift that has been very open to abuse and has often been counterfeited, sometimes deliberately by frauds and sometimes with good intentions by sincere but unwise Christians. The report of the Office of the Health Services Commissioner (quoted above) warns of ‘the dangers of creating false memories.’ This is a warning that seriously needs to be heard. In reality such ‘words of knowledge’ are frequently nothing more than speculation, guesswork and imagination rather than divine inspiration or revelation. In a ministry, such as offered by Sozo, a person requiring help can be led in a particular direction in which false memories are implanted. The consequence of dishonest or wrongly perceived claims to Holy Spirit inspired knowledge about a person can and does result in false allegations that can result in irreparable relationship breakdowns in families and marriages. I personally have seen individual lives ruined and also families destroyed because false ‘words of knowledge’ are given, believed and acted on. Using the power of suggestion under the guise of an authentic gift of the Spirit has the very real and dangerous consequence of creating problems and birthing traumas rather than solving them. This particular charisma is, therefore, a gift that must be used with caution and then tested and not simply believed. • Jesus. In John 4:5-43 we read that when Jesus spoke to the woman of Samaria, he revealed to her that he knew about her past and present including the fact that she had lived with a number of men. This revelation ultimately led to her conversion and that of some of her friends. • Peter. In Acts 5:1-10 we see that God revealed to Peter that Ananias and Saphira had lied about the gift they had given. • Paul. In Acts 13:8-11 we read about Elymas the sorcerer who opposed Paul and his companions. Paul knew that Elymas’ opposition was demonically inspired so he rebuked him and ‘Immediately mist and darkness came over him’ (v.11). Many more biblical examples of words of knowledge could be given. In most of them the people to whom the words of knowledge were spoken were totally aware of their circumstances, but the revealing of that knowledge by someone who normally could not have been aware of their circumstances, confirmed that God was truly behind the revelation. Words of knowledge were not given to reveal something that was unknown to the person being addressed but were given to reveal things that actually were known. Mental illness and psychiatric disorders are as real as any other illness. In truth, while God does from time to time work in us the miracle of healing in response to prayer, people are not always healed. However the work of practitioners in the healing profession, including GPs, surgeons, psychiatrists, and psychologists often accomplishes wonderful work in caring for our physical and mental health, and it is appropriate to acknowledge that. However the poking around in a person’s memory, especially by unqualified people, can have very disastrous consequences. As humans, whether or not we are Christians, we may suffer physically, emotionally, and psychologically because we live in an often harsh, broken and sinful world and consequently we are subject to all kinds of pain, illness and emotional pressures. Just one further observation before I finish. It is perfectly true that sometimes the problems, pressures and stresses in our lives are present because we have been the victim of the cruel or thoughtless actions of others. Those actions can lead to emotional and mental suffering. But sometimes we can bring stress and psychological disorder on ourselves by unwise or inappropriate choices, words or actions. We cannot always blame others for our life-problems! Sometimes the blame actually does lie with us. The Bible teaches that we personally must accept responsibility for our own sins and failures and not to place the blame on others. It plays to our pride to claim that our attitudes and behavioural problems may be placed on the shoulders of another person. If a name can be put on that person, all the better! However, although from time to time situations or other people’s actions may have a significantly damaging affect on us, not all our problems in life can be attributed to some furtive figure lurking in the dark shadows of our memories. In identifying with Isaiah 61:1-2 at the beginning of his ministry, Jesus was clearly declaring that those various human needs, to which the passage refers, were to be addressed by him in his ministry. His promise to us was one of complete restoration and wholeness. In Romans 8:18 Paul wrote, ‘I consider that our present sufferings are not worth comparing with the glory that will be revealed in us.’ The Greek word ‘sufferings’ refers to hardships, physical pain or emotional distress. Paul therefore reminds us that ultimately we shall know and experience the full significance God’s saving work through Jesus Christ. God himself has given the wonderful promise that ‘He will wipe every tear from their eyes. There will be no more death or mourning or crying or pain, for the old order of things has passed away’ (Rev.21:4). 1. Writers of some Sozo ministry articles state that some people claim to be healed. This may not, in fact, be true. Even if some people are truly healed, the credit belongs to God and not to any ministry techniques or any organisation. 2. I believe that at times people are graciously healed by God, not because of a ministry or the character or doctrine a person practising it, but in spite of it. 3. Apparent results do not authenticate the Godly nature of happenings – even pagan witchdoctors can point to their successes. 4. Sozo ministry appears to have no desire to conform to the teaching of the Bible but to follow the theories of atheistic and occultic teachers with an added flavour of some Christian terminology. 5. All things need to be tested by the Bible. If they fail that test, they need to be discarded. Dr Jim, you’ve done it again! You have shown a great capacity to investigate an issue and to apply Scripture to the matter in question. It is easy for people to be swayed by outcomes and to think that those outcomes therefore prove that the methods used have the express approval of God. Your ability to point out aspects of SOZO which do not have biblical support, indeed even may contain some concerns, is much appreciated. Thanks, Steve. Dr Jim has certainly laid it on the line…a clear, biblically sound caution/warning that appreciated by many.